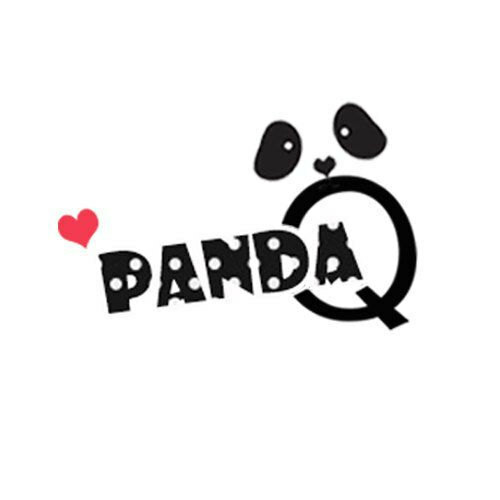 Burning Moon's Inside advice: Panda Q Stationery Giveaway & Review! One of the things I like most about stationary is that it comes in a large assortment of deigns that fits all of you personal interests and it is a lot of fun to collect. I absolutely adore Kawaii stationary so you can imagine my excitement when I found Panda Q Stationery on Etsy. Panda Q Stationery sells a large assortment of pens, flake stickers,washi tape,note pads and lots more all at affordable prices. I received the lovely chance to work with Panda Q Stationery on a review and a giveaway! For my review I received a cute blank note book, a bag of flake stickers and an ink pen. The notebook is interesting, it is cartoon is style so it looks like the smaller book opens but really it is one big book, and it doesn't have any cardboard backing along the spine. The notebook seems sturdy enough but I probably wouldn't suggest it for heavy usage projects instead just to jot notes in or doodle in due to the way the spine is, the notebook came with a cute paper ruler (no measurements included, this is to help line the paper if needed). The pen writes very well, it is smooth and it keeps the lettering small which is perfect for my weekly reminder binder so this pen has actually been moved to my purse so I can use it on a daily basis. The flake stickers were pretty cute, the backings are easy to get off and the coloring is great. Customer service is friendly and replies to messages quickly, shipping was speedy and everything was packaged in bubble wrap to keep it safe during transit. 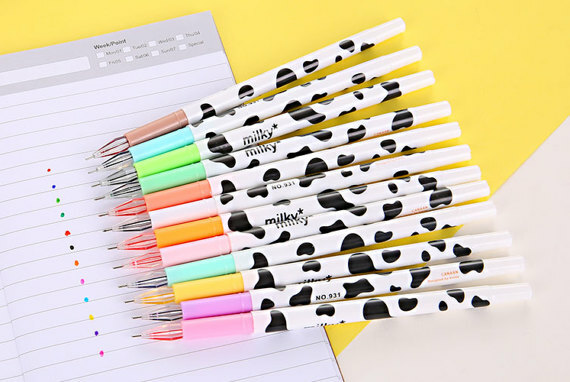 There are so many cute products in this shop that I know I am going to get myself into trouble come pay day because I want more of these pens for my reminder binder. Stop by their shop for weekly specials and deals, the current special is milk pens for $1 each. One lucky winner is going to receive a prize package with the same items I received for review with an extra surprise gift included. Giveaway winner will be announced on the Panda Q Stationery Instagram first then after 24 hours I will announce it on my Facebook page. Giveaway entry question: Please leave me a blog comment letting me know another product you like from Panda Q Stationery. I like the Starbucks and kitty stickers. My daughter LOVES stationary kits! I think this one is absolutely adorable! My favorite item from them is their panda stapler! It's the cutest thing! The "Miss You" Hidden Words Postcard. i like the Korean Fresh Gel Ink Pen. I also really like the Totoro sticky note. I like the Lazy Egg stickers. Set of 10 Floral Colored Gel Ink Pen, Flower, Mix Color and Creative Mental Book Clips,Book Mark, Cat Lover. There are a lot of cute things in this shop. Another product I like is the TOKYO Japanese Washi Tape. Everything!! It looks like my daughters collections!! I like the Korean Fresh Gel Ink Pen, Writing Lover, Fine Point Gel Ink, Black, Korean Stationery,Gel Pens. I love the Totoro sticky notes! Note For Leaf is lovely. The Hello Kitty scrapbooking stickers are great! My girls and I would love them! I like the Sweet Donut Coin Purse,PU Leather Wallet, Change purse, Zip pouch, Zip Purse, Donut,Bread, Wallet. I like the Japanese Sticky Notes. I love the gel ink pens and the sticky notes. I like the Little Prince Washi Tape. Luminous Floral Washi Tape,Masing Tape, Decorative Tape, Kawaii, Korean Stationery, Night Light, Sticker, Flora, Flower is so cute. I like the DIY Emoji Sticker,Scrapbooking Sticker,Cut out Sticker, Sticker, Planner Sticker, Journal Sticker,Kawaii,Emoji. 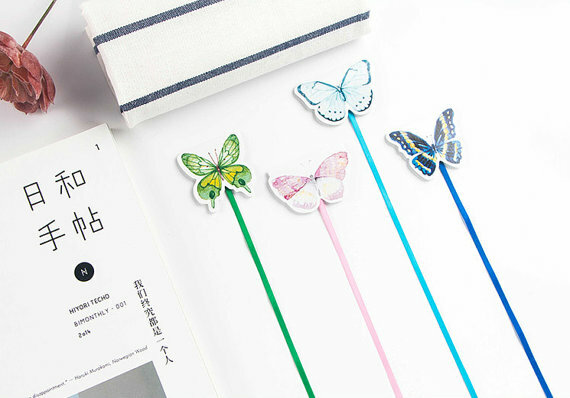 I like the Creative Magnetic Bookmark Set, Book Tab Marker, Magnetic Bookmark, Bookmark,Kawaii,Stationery, Coffee, Egg, Band-aid,Life. I would love to get the Set of 3 pcs Van Gogh Art Paper Bag, Gift Bag! Really cool! I love the minimalist planner! I would love to have the A5 Fruit Lined Notebook,Minimalist Notebook, Lined Notebook, Blank Notebook, Strawberry, Cherry, Lemon, Watermelon,Korean Stationery, Kawaii! I loved the Note For Cat—Blank Notebook,Minimalist Notebook. I like the rain drop sticky notes and the triple colored pencils! I love Raindrop sticky notes!